CCF contingents contain one or more sections from the Army, the Royal Navy, Royal Marines or the Royal Air Force, and promote the aims and values of the services they represent. Each school contingent is run by a team of enthusiastic adult volunteers drawn, in the main, from staff within the school, although outside volunteers can be invited to help. Schools may also employ a School Staff Instructor, either full or part-time, who is usually a retired Senior Non-Commissioned Officer. Adult volunteers have the opportunity to gain nationally-recognised qualifications in leadership, management and outdoor pursuits. 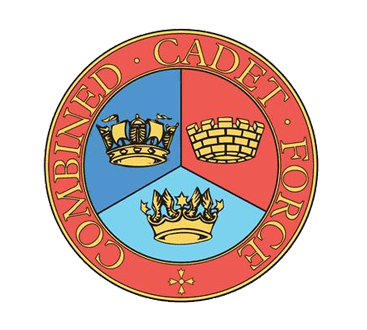 Within a school a CCF provides a disciplined organisation through which students may develop qualities of endurance, resourcefulness, self-reliance, leadership, responsibility and a sense of public service through activities that are safe, fun and educational. To achieve this, Cadets join the section of their choice and take part in a range of educational, adventurous and practical pursuits, many with a military theme. This includes map and compass skills, annual camps and competitive sporting events. There is also the option to enrol on various courses such as gliding, power boating, Royal Marine training and a Royal Engineers programme.